This powerful cooperation between two market leaders in their respective fields aims to provide an even wider audience of webshops with an accessible feedback solution that eliminates the hassle of costs or complex installation procedures. An additional advantage for these webshops is that many of the same features offered in the paid Mopinion software are made available to them, such as feedback form triggering and reporting & analysis, meaning they still get the same value. Customer Experience (CX) has become a number one priority in the ecommerce industry. Webshops are therefore looking for ways to boost their efforts and provide a smooth and satisfying experience for their online customers. But the truth of the matter is, many webshops lack the insights needed to make meaningful changes to their customer journeys and online processes. The purpose of this new integration and partnership is to make customer feedback more available to these webshops, especially those just getting started with their CX programs. It is a partnership that also fits in well with Mopinion’s greater global strategy and we hope to announce several other exciting partnerships like this in the coming months! Once the app is installed, the Mopinion feedback button appears automatically on all pages of the webshop. 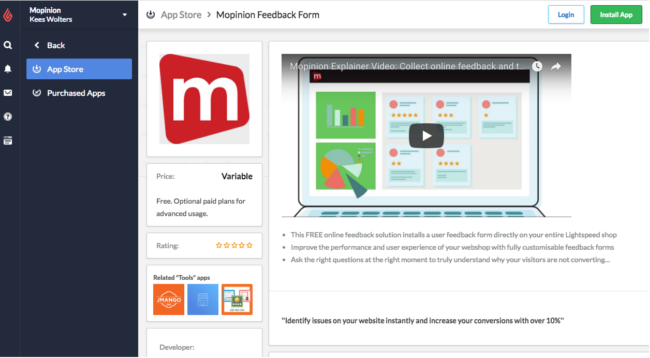 What’s unique about this particular app is that the Mopinion feedback form is completely customisable, so webshops can easily add or change feedback questions, add their own design and logo, set up their own language and use proactive and exit-intent triggers to decide where they want to show or hide the feedback form. You can even add the feedback widget to your email communications and campaigns. All feedback collected is available in a personal Mopinion account, which is created for the webshop upon installation. 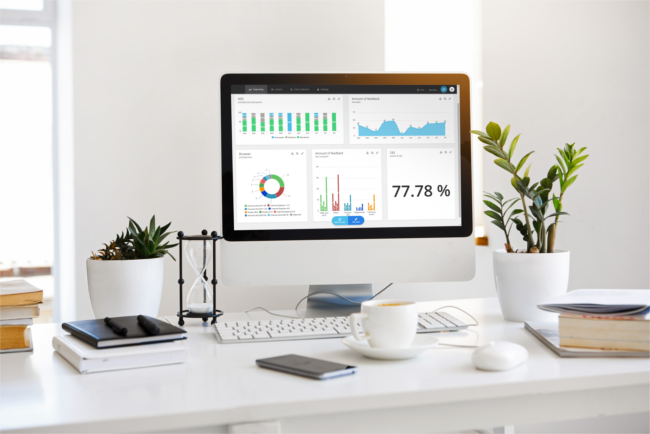 Via their personal accounts, the webshops will have access to customisable dashboards where they can crosstab and drill down on different feedback variables and metrics. 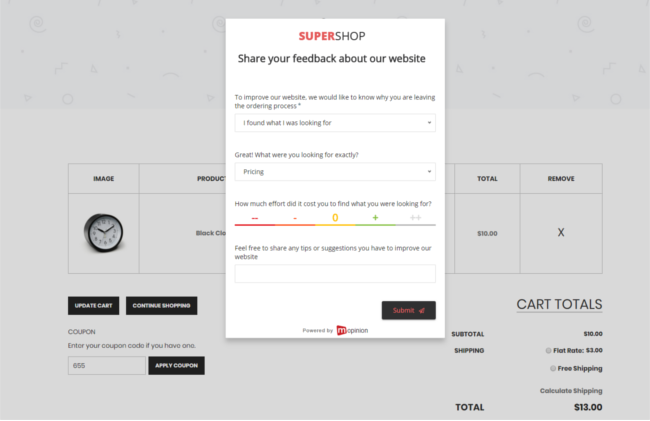 These webshops can also analyse feedback items using text and sentiment analysis, set up email notifications for incoming feedback items, assign feedback tasks to team members and much more. 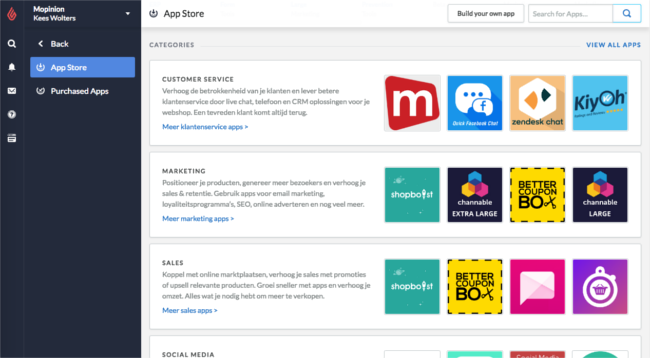 Would you like to implement the Mopinion app integration in your webshop? Go to the UK or Dutch Lightspeed app store and click on the ‘Activate’ button. 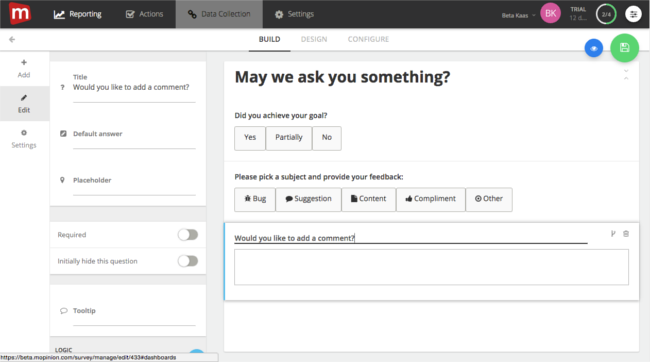 Via your newly created Mopinion account, you can make changes to settings of the feedback form (e.g. add triggers and customise the form). For more information about Mopinion and support options, visit the Mopinion support page. Already implemented the Mopinion app integration on your Lightspeed website? Let us know how you like it below.